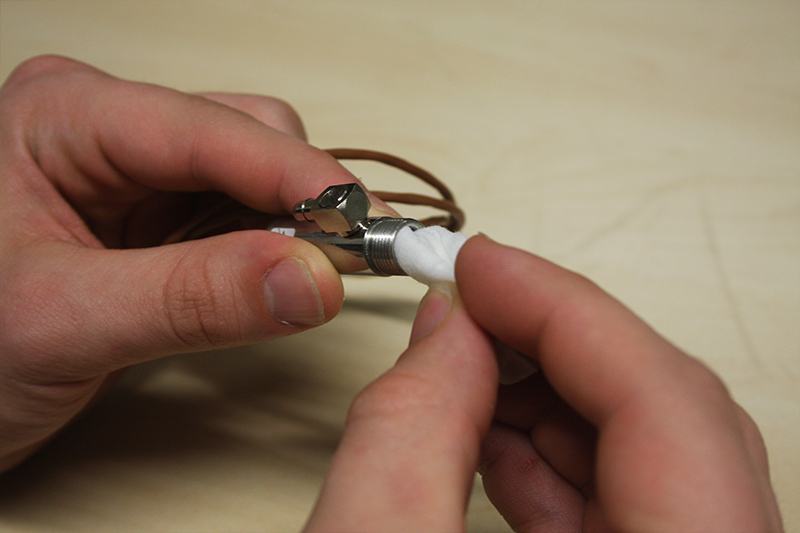 The lens of the IRt/c sensor is an optical instrument. Like a camera or eye glasses, a dirty lens will distort the view. If the Micro IRt/c - IRt/c is unable to see the heat clearly, it will be unable to measure it accurately, resulting in low readings. 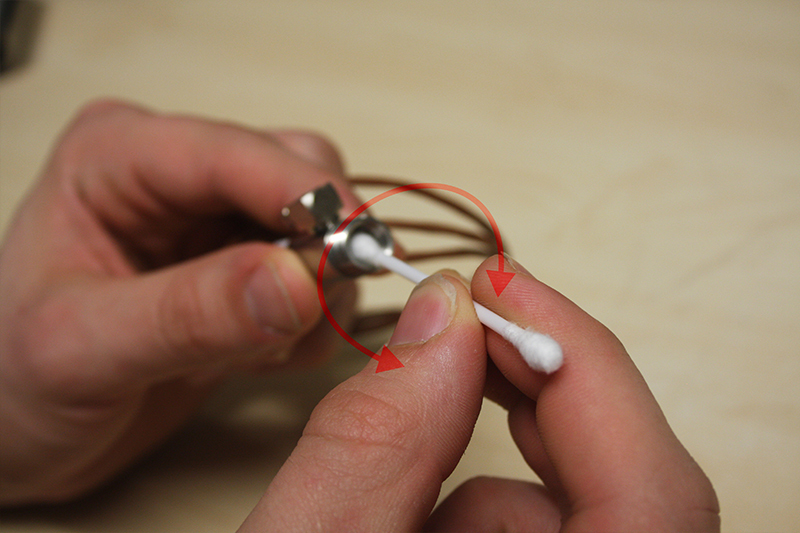 Take one cotton tip out of the package. 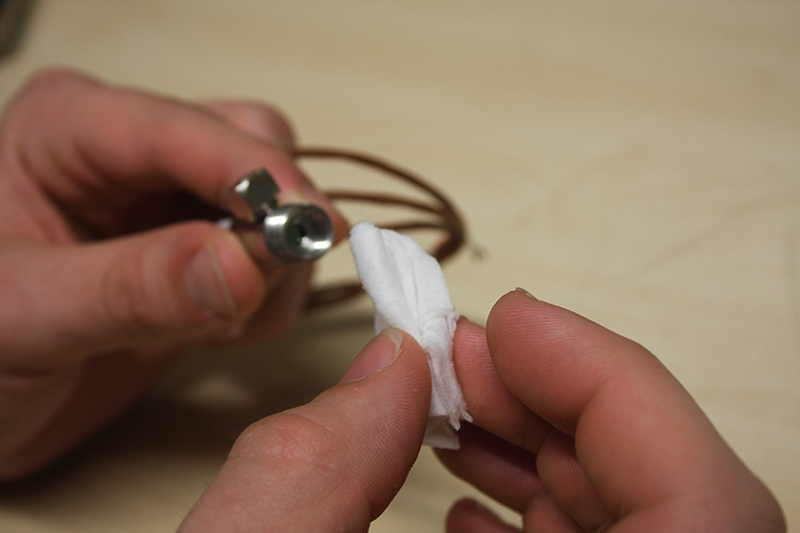 Put the with alcohol-soaked side softly into the sensor and softly clean the lens by rotating the cotton tip. Take one optical lens wipe out of the package. Softly clean the lens with the optical lens wipe.